Aluminium venetian blinds are an economical and versatile way to covering your windows. They allow you to fully blockout light or let light in while still providing privacy, all in the one blind. Where only one blind is required to provided blockout and daylight privacy. They are also the best blind for recess fit application leaving almost no light gap. Ideal for any Melbourne home or office. Can be made up to 3600mm wide by 3600mm drops. Employ a wand to tilt the blades a full 180 degrees and chord to lift them up entirely. Are available in 16mm, 25mm and 50mm blades. 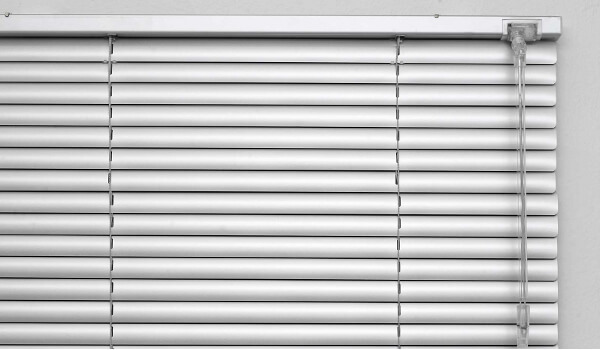 All out aluminium venetian blinds are manufactured here in Melbourne to your specific requirements. All backed with a 5 year warranty. Aluminium venetian blinds come in many different colours to choose from including perforated , wood colours and can have mixed colour blades. Blackout ladders, hold down clips, split controls and cutouts are also available.